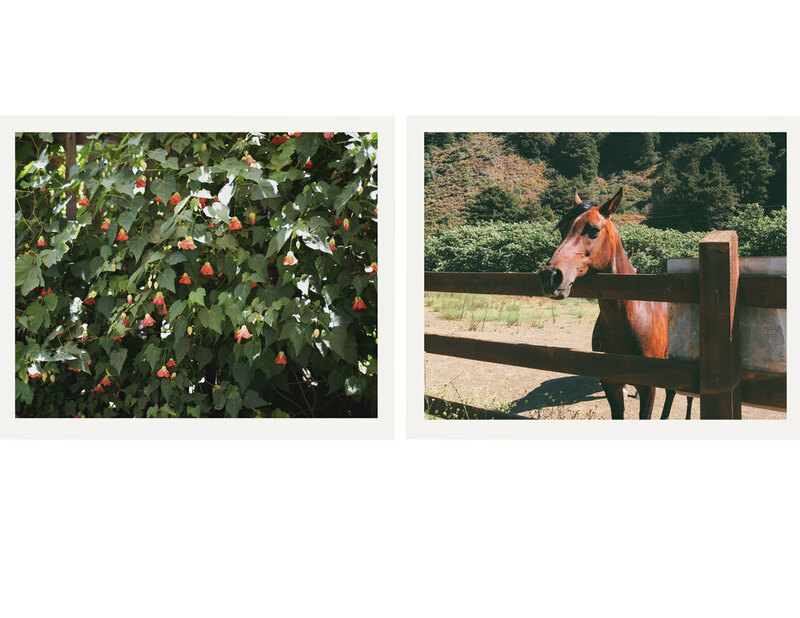 Visiting Big sur any time of year is magical, but during summer is extra nice - the days are longer and the weather is ideal. The only slight downside is the increasing number of organized tourist expeditions going on. I cannot help but wonder how the locals must feel about this, because let's just say some visitors are not so respectful, but that is a whole other story about my observations on that front. For this post it is about the magic, the beauty of being among breathtaking nature with only limited choices of activities. I was talking to a friend the other day of how lovely it was to wake up and think: Hmmmm, what should we do today? Let's see our options are : reading, writing, painting, hiking, meandering, napping and beach going. That's pretty much how the days go there and of course there is the fun decision of where should to eat once the provisions we brought ran out. Big Sur River - Accessible at several places and a must for its' beautiful jewel toned colors and soothing sound. Great place to picnic or sit or play. Andrew Molera beach - Hiking trails and more beautiful views. Deetjen's Big River Inn - Legendary. Iconic. Quirky in the coolest way. Rooms are charming. Dinner was delicious and their breakfast is hearty. The decor alone was a feast for the eyes. Big Sur Bakery - Where you can have a coffee and a peach scone in the morning, then return for a full force dinner over looking the prettiest Shell gas station ever and the redwood grove across the street. They really pull out all the stops for their weekend brunch, quite a menu. Big Sur Roadhouse - Beautiful design and detail from the decor to the food. Wonderful indoor and outdoor seating areas. I prefer indoor near the cool fireplace. During summer they do a fun grilling lunch menu, but it's very popular so be prepared to be very patient. Dinner is delicious and for now not open for breakfast. Not what you think of when you think 'roadhouse', this was more chic responsibly renovated mid century cabin. 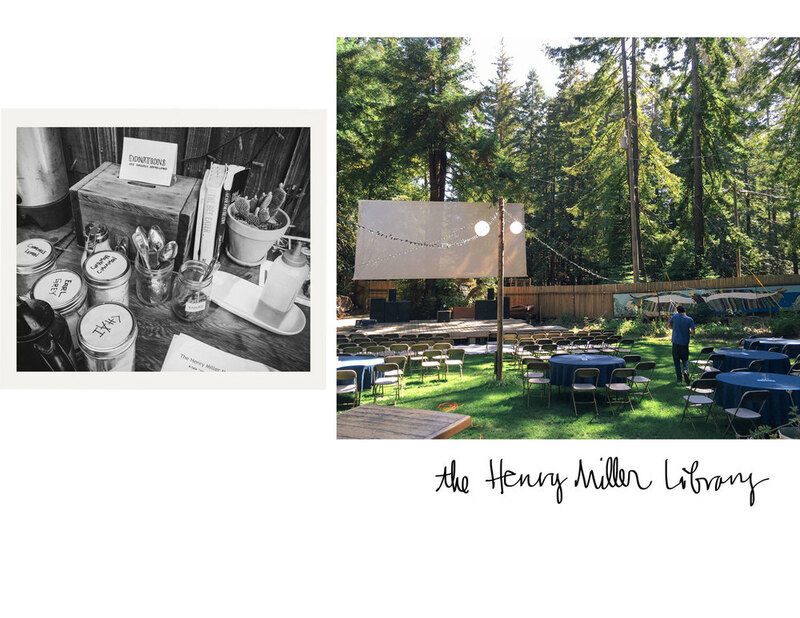 Henry Miller Memorial Library - Cool cottage library with a great outdoor space. Run by such enthusiastic devoted staff, ideal to come for a music performance or film screening. Julia Pfeiffer Burns State Park - Stunning! Home to McWay Falls, where everyone is taking a photo because how could you not? A sight I will never forget. There is also Ewoldsen trail nearby for a great 6 mile loop hike. 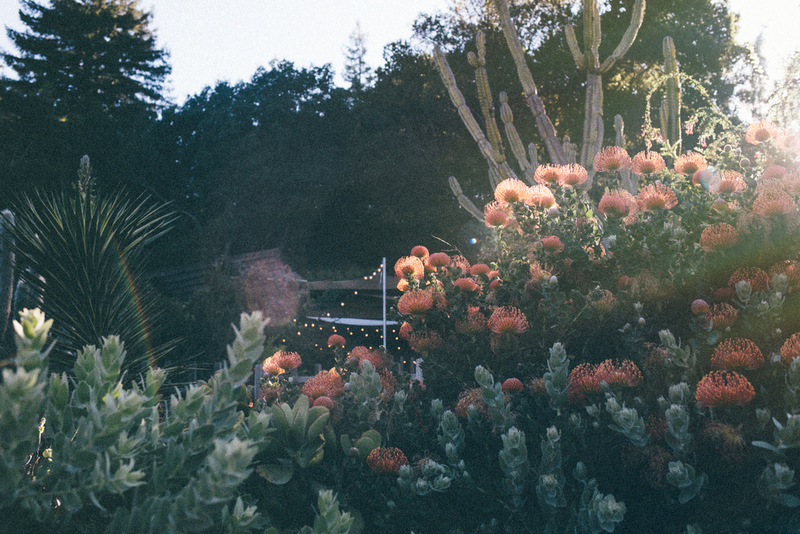 Post Ranch Inn - The grounds are beeeeeautiful. The view is beeeeeautiful. The rooms seem like little glass treehouse gems perched in just the right angle for maximum view enjoyment. Sierra Mar for lunch is a perfect way to get a taste for this luxurious modern rustic enclave. I loved their solar panel field which looked like a contemporary art installation to me and their local garden looked dreamy. General Stores - There are about 7 of them along the highway. Fernwood tends to be the most organized and well stocked. 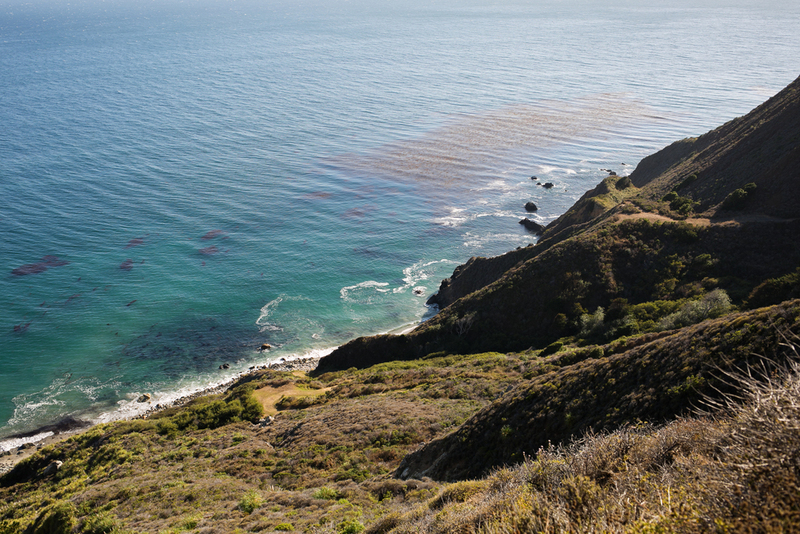 The Esalen Institute - Worth the hurdles you may have to go through to book an appointment or stay for a visit. A massage and soak in their 'baths' (hot springs) is awesome. The views are unbeatable and you do with your mind, body and spirit completely soothed and refreshed. Note: Curiosity and what looked like the perfect sunset watching perch took us over to Nepenthe. It is perfectly located for great views but the tourist crowds and loudspeaker calling waiting parties to their table did us in, we lasted 10 mins. We ditched that idea and found a great spot over at Ventana Inn where the atmosphere is more chill, but still has great sunset views. Ps. 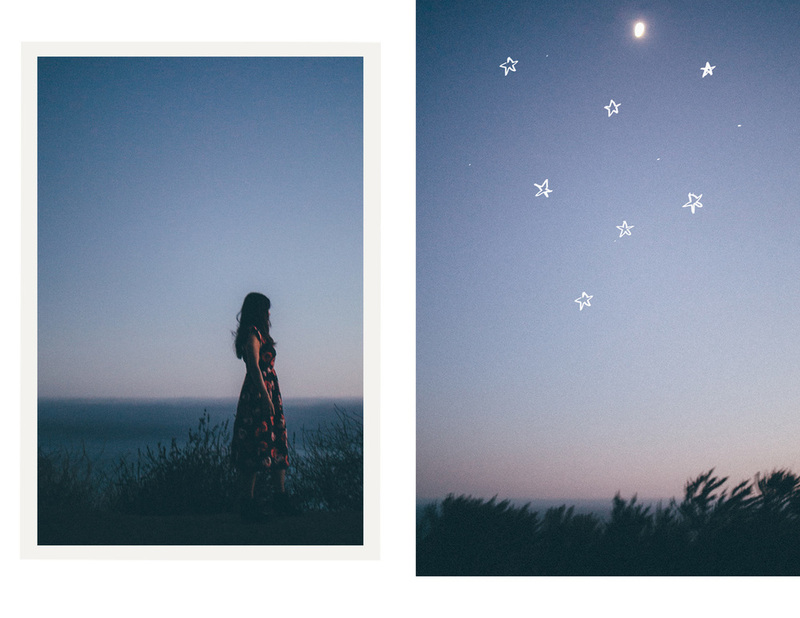 My earlier Big Sur post is here.